WHAT am I doing AWAKE??? There’s both an Alabama and Auburn game on today we have to watch, we wanna go to the Moundville Native American Festival and also try to take in a movie – we’re thinking Hotel Transylvania or Pitch Perfect. But first on my list today is going to the grocery store. I am itching to make a recipe I found on Normal Cooking written by a great girl named Lindsay (even if she is an Auburn fan) 🙂 You really need to check out her page! 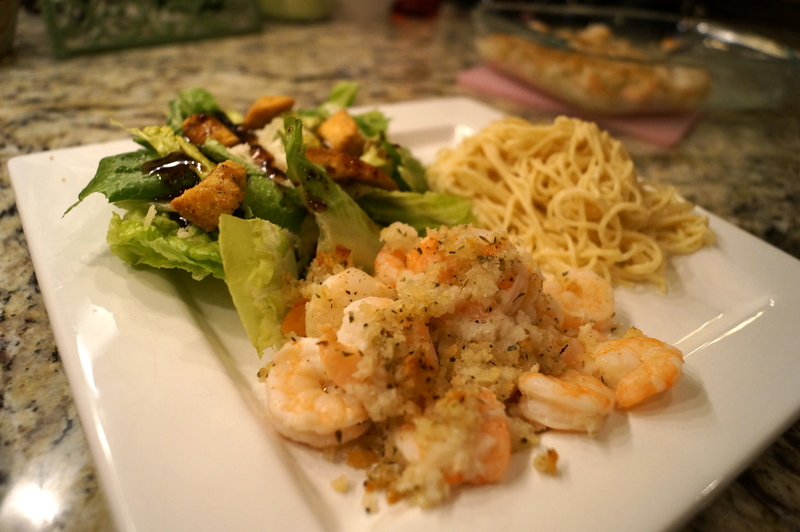 I’m so impressed with her – she cooks and post like everyday!!! I aspire to be more like that! 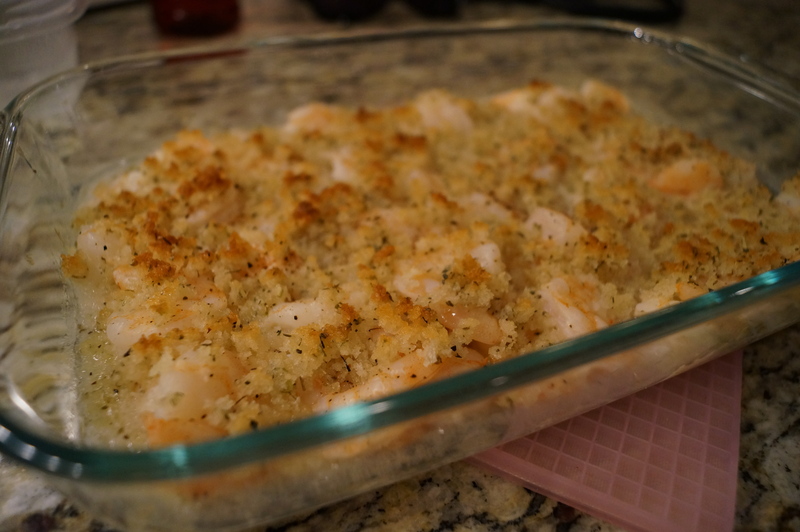 Garlicky Baked Shrimp is the recipe that I will be trying tonight. It looks to be simple but very, very tasty! Thanks Lindsey for sharing. 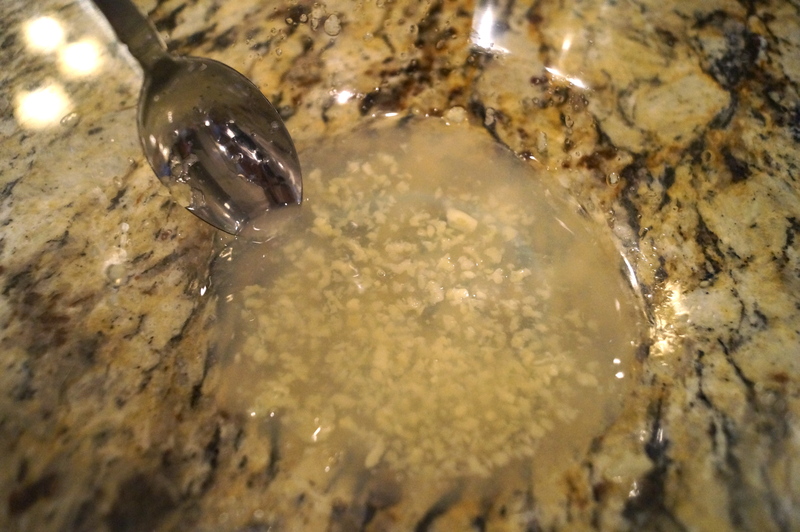 Start by combining the garlic, lemon juice and wine. 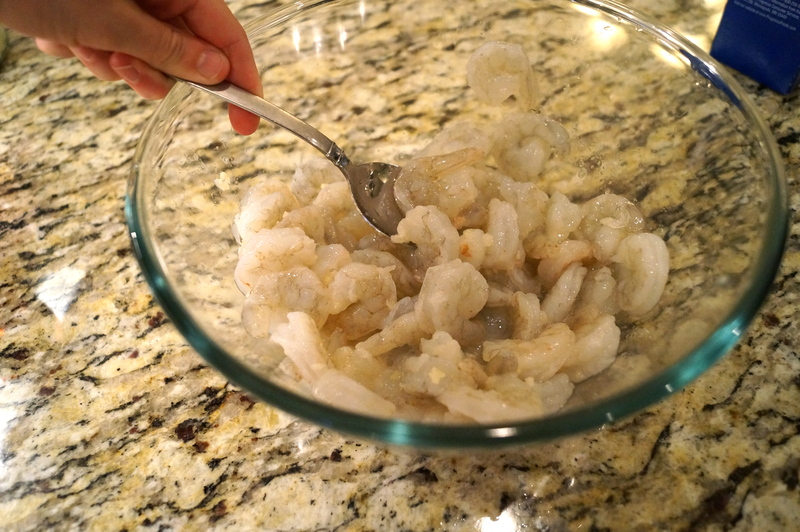 Mix in shrimp until completely combined. 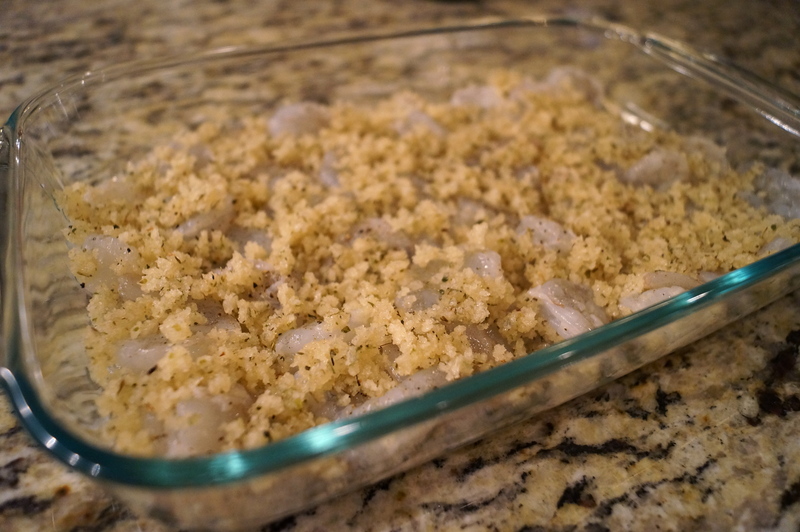 Pour into baking dish and spread evenly, season with salt and pepper. 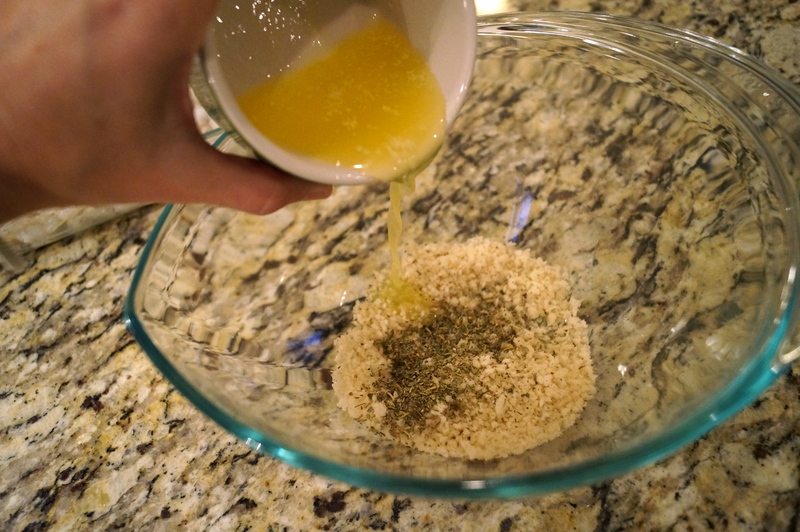 Then mix butter, Panko crumbs and parsley (I didn’t have fresh so I used dry italian seasoning). 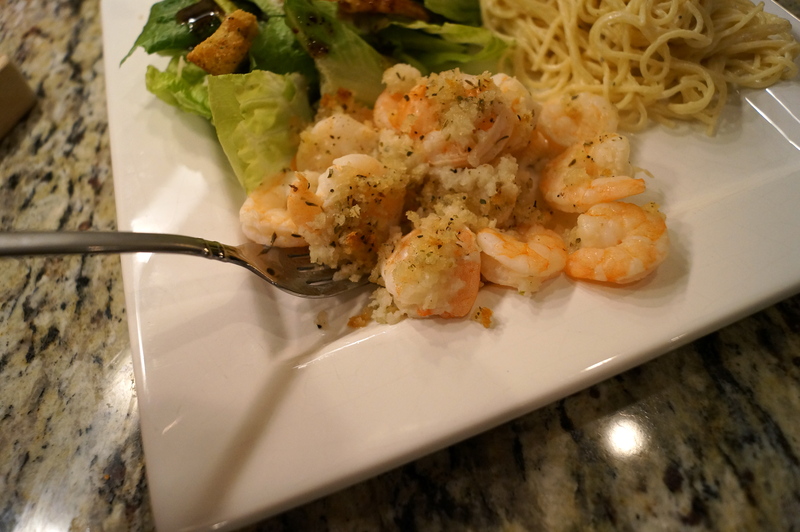 Sprinkle Panko mixture evenly over shrimp. I served this with a salad and fettuccine spaghetti alfredo (one of the pumpkins favorites). It was delicious! Once again I thank Lindsay of Normal Cooking for sharing this recipe. I look forward to trying more of hers! Have to try the shrimp ! It was really good! 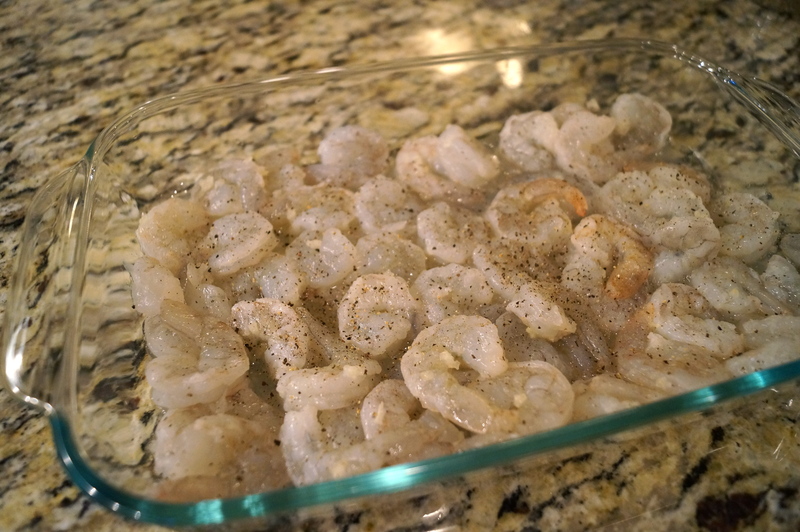 With the sauce that was left in the pan, you could scoop it up with the shrimp and serve over pasta instead of making the Alfredo. Thank you for the reblog and for all the kind words! You are too sweet (even if you are a Bama fan) :-). I hope your family enjoyed it as much as mine did! You are so welcome! 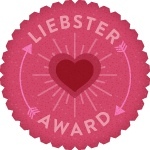 I love your blog – I have a big mouth when it comes to things I like 🙂 We enjoyed it very much!! Great!!! I can’t wait to hear what you think! !